for the Fairfield Public Schools. The Instructional Division of the Fairfield Public Schools is responsible for the continual growth and enhancement of student achievement. 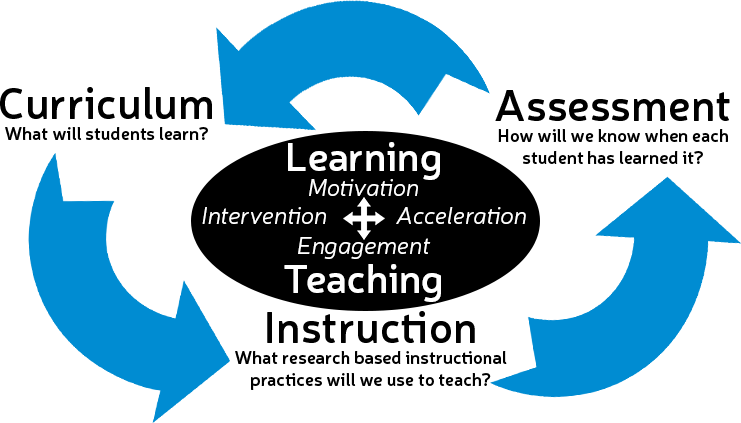 Our work is focused through three core areas, Instruction, Curriculum, and Assessment. These three areas are linked as identified in the diagram below. Our task is to continually monitor the supports for these areas to ensure that they are supportive of each other. More details on the support for each of these structures is in the links to the left.